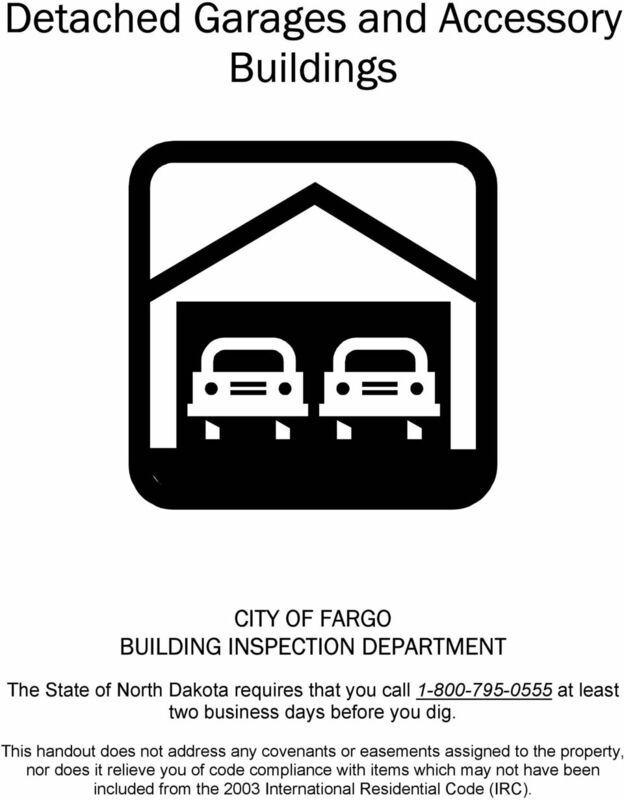 Download "Detached Garages and Accessory Buildings"
1 Detached Garages and Accessory Buildings CITY OF FARGO BUILDING INSPECTION DEPARTMENT The State of North Dakota requires that you call at least two business days before you dig. 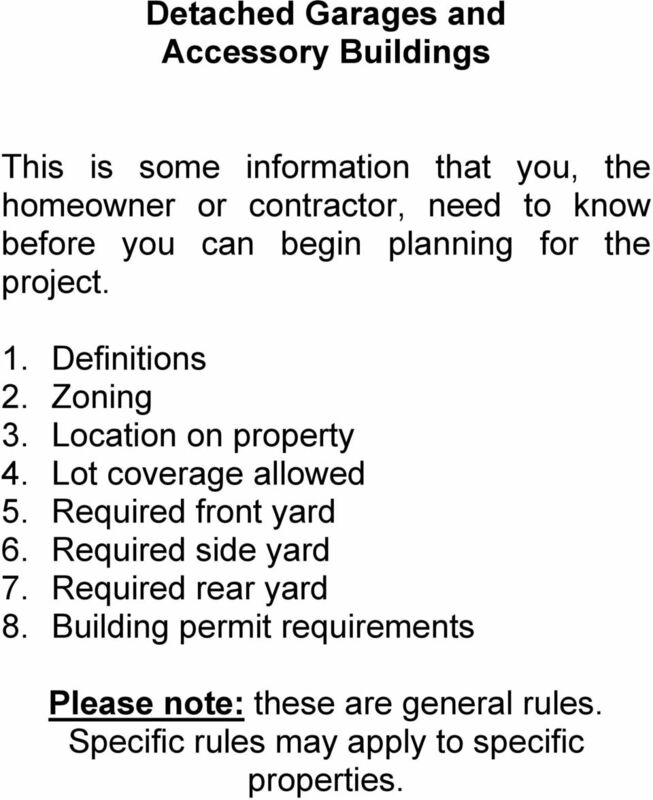 This handout does not address any covenants or easements assigned to the property, nor does it relieve you of code compliance with items which may not have been included from the 2003 International Residential Code (IRC). 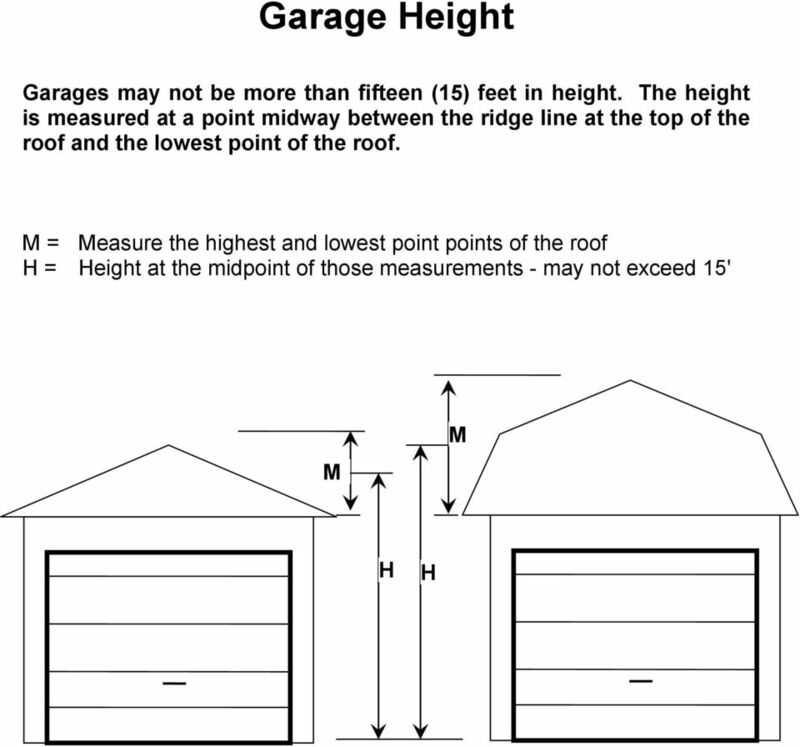 2 Detached Garages and Accessory Buildings This is some information that you, the homeowner or contractor, need to know before you can begin planning for the project. 1. Definitions 2. Zoning 3. Location on property 4. Lot coverage allowed 5. Required front yard 6. Required side yard 7. Required rear yard 8. Building permit requirements Please note: these are general rules. Specific rules may apply to specific properties. 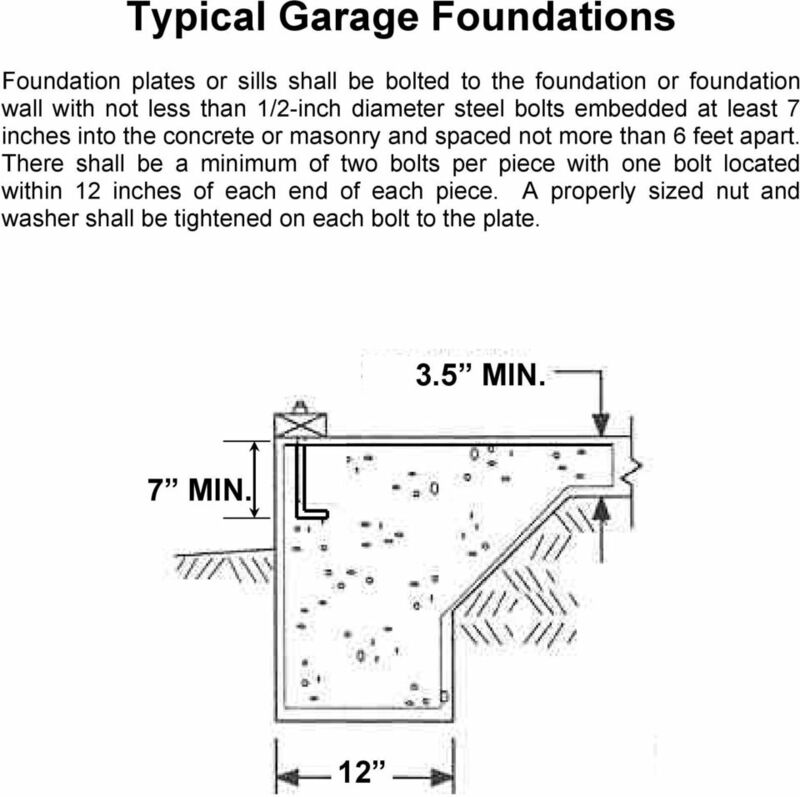 3 DEFINITIONS Foundations: Garage Floor: Lot Coverage: The foundation must be constructed of masonry, concrete, or treated wood and shall extend below the frost line. Where motor vehicles are stored, floor surfaces shall be constructed of noncombustible materials. The percentage of the area of the lot that is allowed to be covered by the main buildings and all accessory buildings within a specified zoning district. Property Line: A recorded boundary of a plot. It is the owner's responsibility to know where and how to locate the property lines. The City of Fargo assumes that the owner knows this information. Errors due to lack of property line knowledge will cause delays and additional expense. Required: Yard: Yard, Front: Yard, Rear: Yard, Side: Needed; essential; necessary An open space, other than a court, on the same lot with a building. A yard extending across the full width of a lot and having a depth equal to the shortest distance between the front line of the lot and the nearest portion of the main building, including an enclosed or covered porch. Where a building line or other line for designation of future street width has been established, the front yard depth shall be measured from such line instead of from the front line of the lot. A yard extending across the full width of a lot and having a depth equal to the shortest distance between the rear line of the lot and the main building. A yard between the side line of the lot and the main building extending from the front yard to the rear yard and having a width equal to the shortest distance between said side line and the main building. 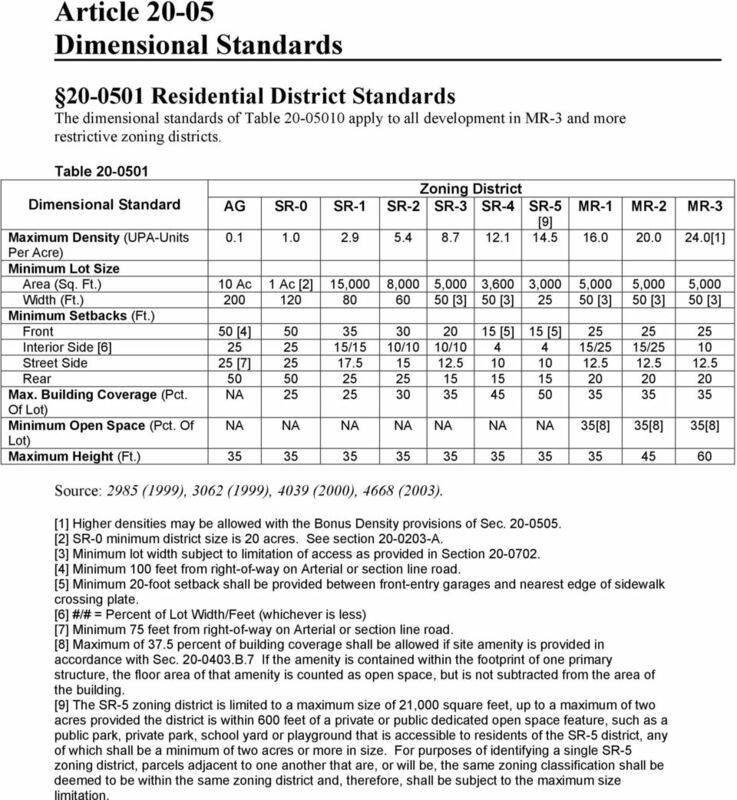 4 Article Dimensional Standards Residential District Standards The dimensional standards of Table apply to all development in MR-3 and more restrictive zoning districts. Table Zoning District Dimensional Standard AG SR-0 SR-1 SR-2 SR-3 SR-4 SR-5 MR-1 MR-2 MR-3  Maximum Density (UPA-Units  Per Acre) Minimum Lot Size Area (Sq. Ft.) 10 Ac 1 Ac  15,000 8,000 5,000 3,600 3,000 5,000 5,000 5,000 Width (Ft.)  50   50  50  Minimum Setbacks (Ft.) Front 50   15  Interior Side  /15 10/10 10/ /25 15/25 10 Street Side 25  Rear Max. Building Coverage (Pct. NA Of Lot) Minimum Open Space (Pct. Of NA NA NA NA NA NA NA 35 35 35 Lot) Maximum Height (Ft.) Source: 2985 (1999), 3062 (1999), 4039 (2000), 4668 (2003). Higher densities may be allowed with the Bonus Density provisions of Sec  SR-0 minimum district size is 20 acres. See section A. Minimum lot width subject to limitation of access as provided in Section  Minimum 100 feet from right-of-way on Arterial or section line road. Minimum 20-foot setback shall be provided between front-entry garages and nearest edge of sidewalk crossing plate. #/# = Percent of Lot Width/Feet (whichever is less)  Minimum 75 feet from right-of-way on Arterial or section line road. 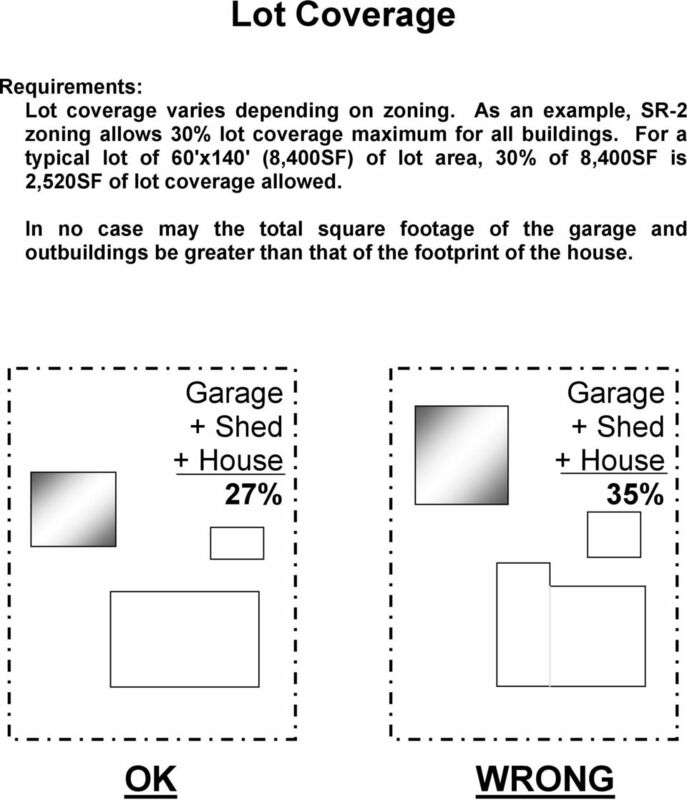 Maximum of 37.5 percent of building coverage shall be allowed if site amenity is provided in accordance with Sec B.7 If the amenity is contained within the footprint of one primary structure, the floor area of that amenity is counted as open space, but is not subtracted from the area of the building. The SR-5 zoning district is limited to a maximum size of 21,000 square feet, up to a maximum of two acres provided the district is within 600 feet of a private or public dedicated open space feature, such as a public park, private park, school yard or playground that is accessible to residents of the SR-5 district, any of which shall be a minimum of two acres or more in size. For purposes of identifying a single SR-5 zoning district, parcels adjacent to one another that are, or will be, the same zoning classification shall be deemed to be within the same zoning district and, therefore, shall be subject to the maximum size limitation. 9 Headers Headers are to be of 2x material set on edge and nailed together per Table R602.3(1) of the IRC. 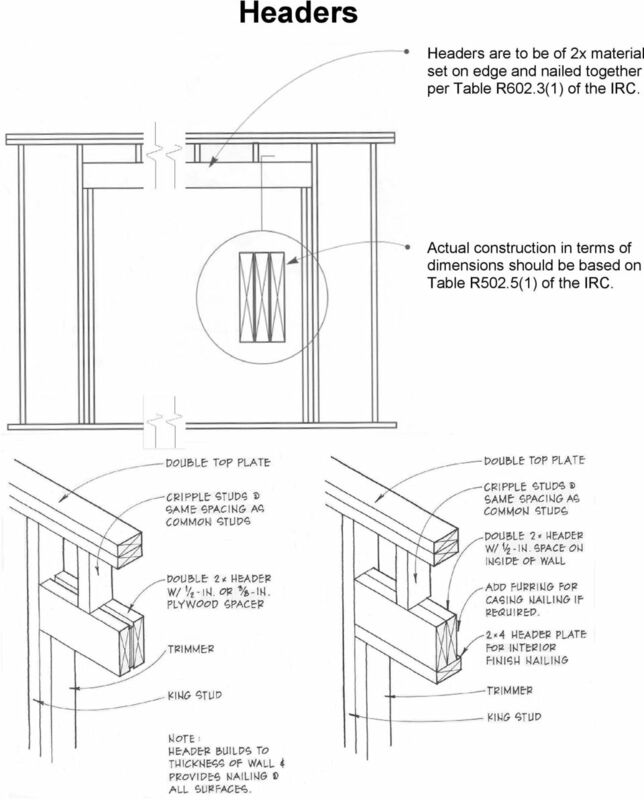 Actual construction in terms of dimensions should be based on Table R502.5(1) of the IRC. 10 BUILDING PERMIT IS A BUILDING PERMIT REQUIRED? YES! Before any work is started you must acquire a building permit. WHY SHOULD I GET A PERMIT? To ensure that your garage/home is constructed properly; to safeguard your property; to protect yourself; to establish a record of construction or remodeling history on your property; and to provide some protection from claims by subsequent property owners. WHAT IS NEEDED TO GET A PERMIT? The address and the zoning of the property, the intended use of the property (if uses other than residential are anticipated), the estimated cost of construction of the project, and a site plan showing the size and location of all existing buildings on your property along with the proposed project. Also, basic construction drawings are often helpful. HOW LONG DOES IT TAKE TO GET A PERMIT? Generally less than one hour, depending upon the information provided and the complexity of the project. 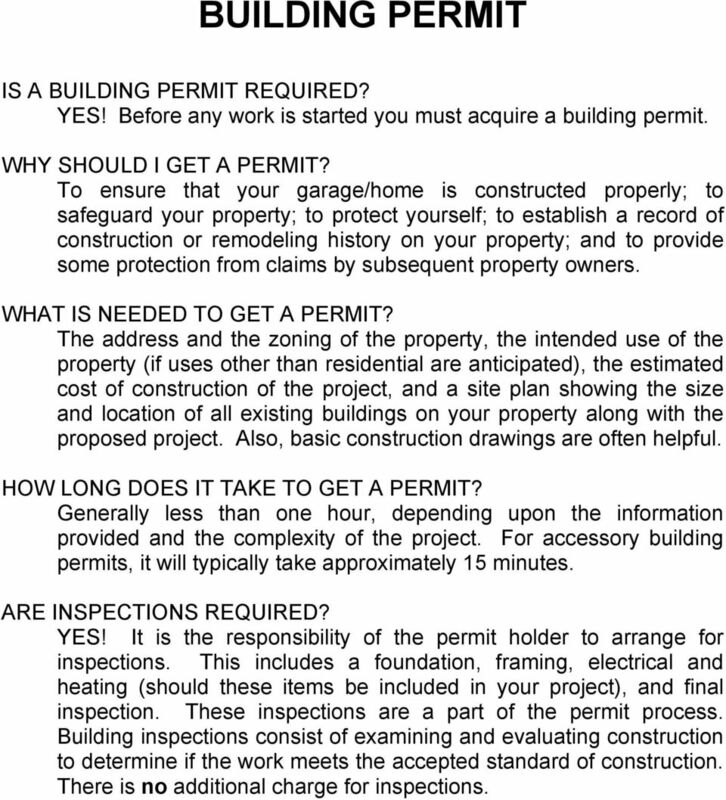 For accessory building permits, it will typically take approximately 15 minutes. ARE INSPECTIONS REQUIRED? YES! It is the responsibility of the permit holder to arrange for inspections. This includes a foundation, framing, electrical and heating (should these items be included in your project), and final inspection. These inspections are a part of the permit process. Building inspections consist of examining and evaluating construction to determine if the work meets the accepted standard of construction. There is no additional charge for inspections. Guide to the R-4A Zoning District Planning & Economic Development Department 418 Main Street Lemont, IL 60439 (630) 257-1595 Planning & Economic Development Department What and where is the R-4A District? REQUIRED RESIDENTIAL PERMITS AND INFORMATION TO SUBMIT FOR PERMIT Any item listed that requires a permit also requires a permit application to be filled out completely at the time of the plan submittal. Division 51-4.400. 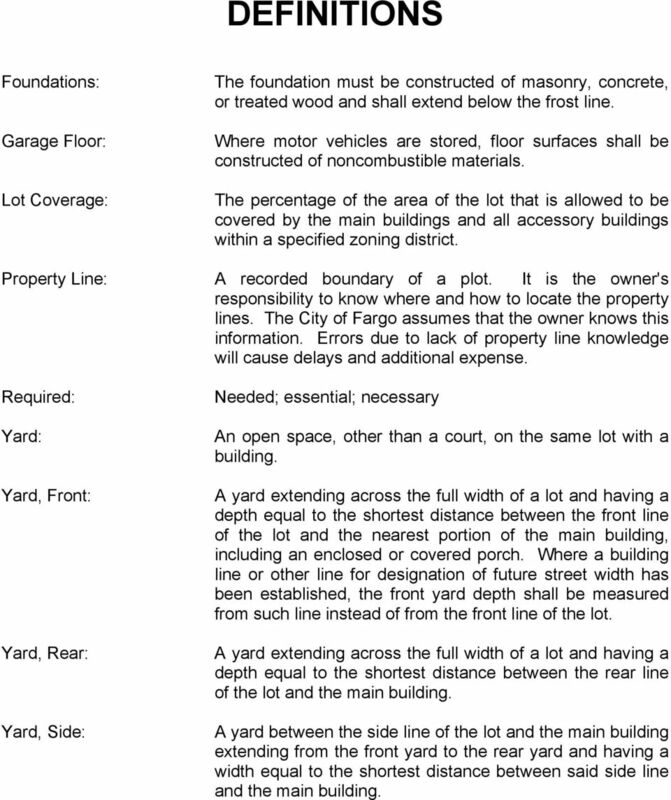 Yard, Lot, and Space Regulations. Sec Planned unit development residential (PUD-R). Step 1: Lot Area Using a recent Plat of Survey, calculate the area of the lot in square feet. d. Building permits may only be approved if consistent with the approved development plan and land division for all units with common walls. 154.037 FENCES. (B) General requirements. 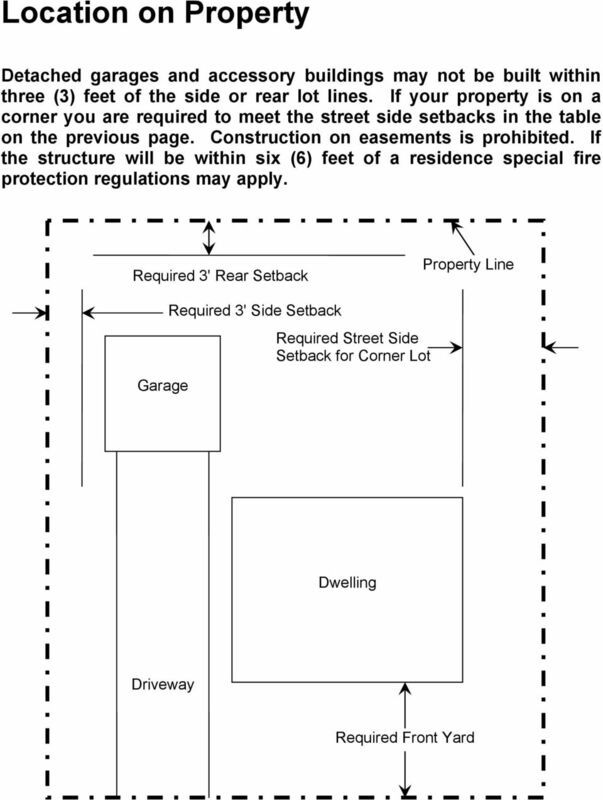 LAKE ARROWHEAD BUILDING or PLACEMENT REQUIREMENTS Revised 02/2005. PLEASE review prior to completing the permit application and/or construction. DECK. RESIDENTIAL BUILDING INSPECTIONS DEPARTMENT WHEN IS A PERMIT REQUIRED? TYPES OF PROPERTIES ARE INCLUDED WITHIN THE T3 TRANSECT DESIGNATION? C. Enforcement: The provisions of this section shall be administered and enforced by the director of development services or his designee.